When do we talk about valuable traffic and why you need it? When this traffic is of high quality and provides a lot of conversions to online stores. The source from which this traffic comes is independent and objective. Good and objective sales channels are those that directs to an online store with good efficiency. Experts also mention this, noting that the best sales results are achieved by building loyalty, <a href="/pl/shop/marketing/messages/">email marketing,</a> <a href="/pl/shop/seo/"> SEO and SEM in Google</a>. When do we talk about valuable traffic and why you need it? When this traffic is of high quality and provides a lot of conversions to online stores. The source from which this traffic comes is independent and objective. Good and objective sales channels are those that directs to an online store with good efficiency. A healthy and active online business should not only function based on orders from marketplaces, from which the acquired traffic is not objective. Experts also mention this, noting that the best sales results are achieved by building loyalty, email marketing, SEO and SEM in Google . As a part of close cooperation between IAI and Google, IAI Ads service was created, which manages automatically, in an optimal way, rates for ad clicks and directs high-quality traffic directly to IdoSell Shop online stores. This innovative service replaces the human being in the process of generating Google PLA offers and Remarketing. IAI Ads can be used by online stores that want to get more sales while maintaining a relatively low cost. In IAI, we have repeatedly proved that we are able to deal with the most ambitious topics, implementing on a massive scale, at an affordable price, what was unavailable for medium-sized online stores. How does IAI ADS work? The IAI Ads service continuously downloads and analyzes data from Google and the online store, constantly learning and creating an optimal strategy on this basis, which allows to properly control ads 24 hours a day. The service works based on Google PLA ads, where specific products are presented at specific prices. 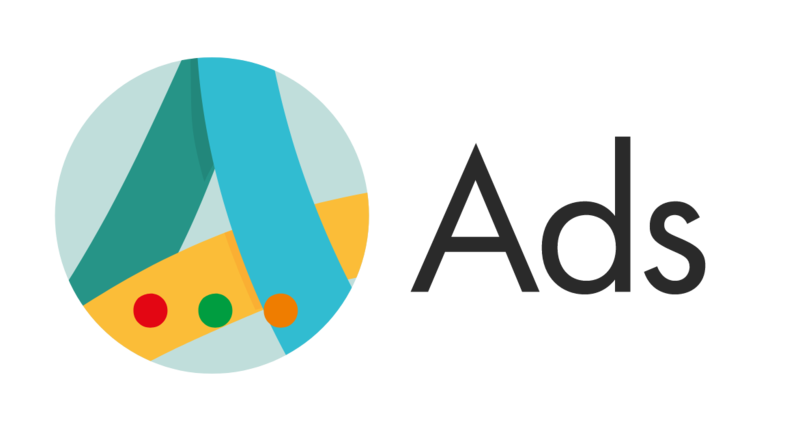 Thanks to this, the service is able to descend to the level of availability of the product's margin, unavailable for other tools, such as the AdWords campaigns. 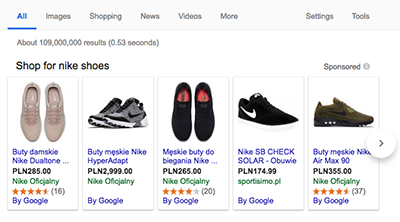 After launching IAI Ads, ads in Google search will appear based on an offer that is delivered automatically from your online store to Google Shopping. The ad click rates are set automatically with a guarantee of profitability. You will determine the return on investment (ROI) before starting the service. This advanced service is constantly developed. IAI Ads service is available for every IdoSell Shop based store. Maximizing efficiency due to continuous analysis of data on the effectiveness of advertising activities for individual products, which enables precise optimization. Guarantee of sales profitability thanks to taking into account the efficiency and margin data on the products in the store. Increasing your profits thanks to the optimization of hundreds of thousands of product advertisements in real time with a response to current market changes - depending on the conditions, your ad reaches the right people. Ads reach potential customers using both mobile devices and desktops. Your offer reaches every customer regardless of the device being used. Increasing chances of purchase, by showing recipients products they are interested in. SEM agencies usually settle a percentage of expenses, not effects. IAI Ads guarantees results and is based on them. SEM agencies are settled with packages guaranteeing minimal income due to e.g. the cost of the contract or invoice. IAI Ads looks after the client's profitability, taking into account the margin and fixed level of fees. SEM agencies are usually small companies, without advanced IT departments and experience in processing a large amount of information. At IdoSell Shop, the experienced and extensive IT department is responsible for the continuous development of the service, which additionally closely cooperates with engineers and consultants at Google. IAI Ads offers customers the right products at the right time, ensuring the optimization of the cost of click for each product. Guarantees the profitability of your sales - takes care of profitability, remembering about the margin and the set level of fees. Increase sales thanks to continuous development and improvement. We constantly test and improve algorithms that improve efficiency and increase sales every week. As the only store solution we have the status of Premier Google Partner (check the IAI SA profile on the Google Partners website), which is a prestigious award admitted to companies for special skills and knowledge. The Partner's title is awarded after meeting a number of conditions, such as: demonstrating employees' knowledge and presenting the results of revenue growth or the ability to maintain and expand the customer base. Our clients receive the best service possible, performed by specialists in their field. If you need more information about the IAI Ads service, which automatically guides and optimizes Google's advertising campaigns, please contact the Support Department.